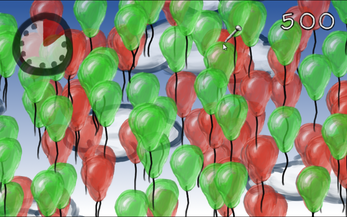 Burst all the green balloons, while avoiding the red balloons. A one-minute game divided into three 10-second rounds punctuated by three 10-second intermissions. Built for Ludum Dare 27 in Unity 4, using the 2D Toolkit and ThinkScroller.